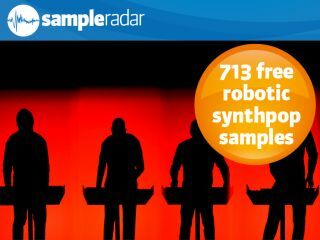 If you like Kraftwerk, you'll like this week's sample collection. At the risk of sounding like your dad, SampleRadar likes to think it's a pretty groovy kind of cat. However, you can only have so much of hanging loose and there are times when a bit of rigidity is in order. Times like this in fact, as we present a collection of old-school robotic synthpop samples that were inspired by German pioneers Kraftwerk. Quantise your download finger and read on to find out more. The samples are split into nine folders, each of which is named to give an indication of the type of samples that are contained within. The likes of drum machines, FX, speaking toys and vocoded vocals (some in German) are all here. The robotic synthpop samples are supplied in a zip file, so you'll need to extract them before you can see them. Enjoy!